Donate to Your Local Vet Center, VFW, or anywhere vets congregate. Help our vets with information that will give them tools to have a fantastic 2016!!! That is over $5 to $7.00 off per copy. We can have the copies drop shipped to any Vet Center, VFW, or anywhere you wish! Note: If you can’t donate 15 copies contact me and we will work out a quantity that fits your budget. 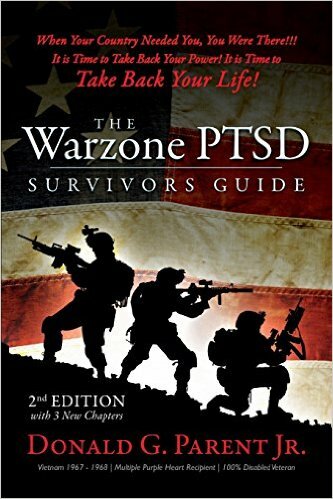 I am very proud to say that my book has helped many vets. What is really exciting is the feedback on how many friends and families of vets have been helped by learning what happened to their loved one that has changed them so much. I am a 100% Disabled Vietnam Vet with multiple Purple Hearts. I have PTSD! I was married on my R&R from Vietnam to my wife Ginger. After 48 years we are still married and now best friends. It was a roller coaster ride so we both have a huge knowledge base on what it takes to deal with traumatized relationships. War and things like PTSD, TBI place extra trauma on those relationships. Many Veterans have multiple breakups as the stress builds.